Durvasa came back to Ambarisha and asked forgiveness. Ambarisha prayed to Sudarshana and the chakra disappeared. After this incident Ambarisha left to Thiruviththuvakodu and did Vishnubhakthi. 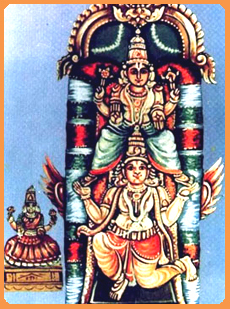 Those who pray to the Lord Vishnu at Thiruvithuvakodu will be relieved of ghosts and phantoms.